Graying of hair for Asians can be considered as a sign of aging. But in today’s time when even the kids can have white hair we should not say that. Still there is a notion that we do not like the grey streaks in our hair. Black hair is a sign of youthfulness and this is why we all would like to have dark rich hair. 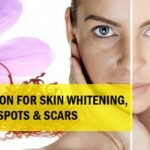 When people get white hair then most of them will try hair dyes and hair colors to hide the grey hair strands but natural solutions and home remedies are always considered the best. Yes, this is so true that with the use of some natural home remedies we can make the hair black. 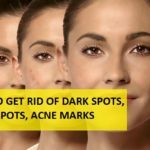 Now your desire to get black hair back can be fulfilled with these natural ways to fight premature greying of hair. 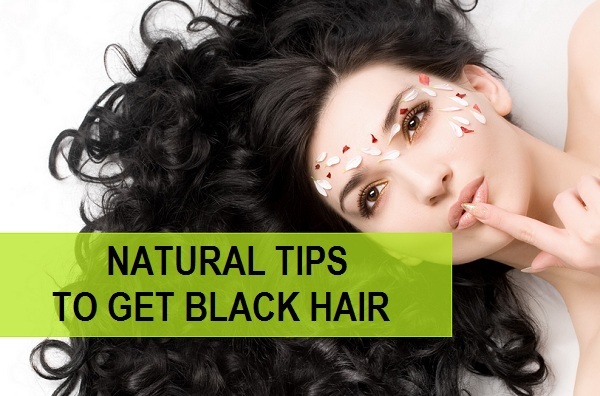 Let’s know about these black hair tips. You can also prepare a hair cleanser using amla shikkakai to help combat the white hair problem. It alos helps in inducing the naturally black hair. To prepare this natural hair cleanser for white hair treatment, you will need handful of dried amla and 7-8 shikkakai pods. Put both of these in 4 cups of water and boil them. Before putting them, you can break these into small pieces so that they dissolve and gets soggy faster. Boil the amla and shikkakai in wear and let them get soft. After around 20 minutes. Switch off the burner and allow this to get cool down. This will take few minutes, and then you can mash the amla and shikkakai which by now have become softer. Mash them and then strain this water. You will see that the water was slight reddish brown and after mashing it becomes darker and thicker. Take this water which is your hair cleanser and use on the hair. Wet your hair first then apply this cleanser on the hair and over the scalp. Then keep this for 30 minutes. Then rinse with normal clear water. Do this 2 times in a week to get naturally black hair at the comfort of your home. Methi dana and amla makes a wonderful combination where both of these natural products are beneficial in controlling the premature whitening of hair and to make the hair black again. You will need half cup of methi dana which is called as fenugreek. Take a cup of dried amla as well. Deseed the amla before using. Then put these two in a grinder and grind them to attain a smooth powder. Now take around less than a cup of this powder and add some water in it. Add water in such a way that this becomes a loose paste. You can always keep the extra powder left in an air tight container for future use. Or you can also make more powder then use that later on so that you need not to grind amla and methi dana again and again. Take the paste and apply all over the hair and scalp. Coating the scalp and every hair strand nicely. You can add some more water if the paste seems thick. After you are done applying. Tie a bun if the hair is long and keep this for 1 hour. Then you can use normal clear water to wash the hair. Brahmi is known to make the hair voluminous, shinier and secure them from getting white at an early age. Aloe vera too is known to moisturize and nourish the hair thus these two makes a good Ayurvedic hair pack to boost the hair’s natural vitality and to get the black hair at home without using any dyes or hair color. But you need the patience as natural remedies take time to give results. Anyways, For this remedy you need 1 cup of Brahmi leaves. Grind the leaves and when the powder is achieved. Mix ½ cup of that powder with 2 teaspoonful of aloe vera gel. You can also use aloe vera juice if you wish. Put some amla juice as well if you have. 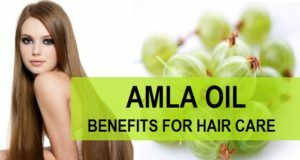 Amla is excellent in turning the white hair black effectively. Apply this Brahmi hair pack for white hair problem. Let this get dry for 1 hour then wash off with plain tap water. Do this 2 times in a week to get good results in making the white hair problem in males and females under control. This methi dana hair pack is also one of the best remedies to naturally turn white hair into black faster and effectively. The hair will get slightly tinted with henna but don’t worry this will help immensely. 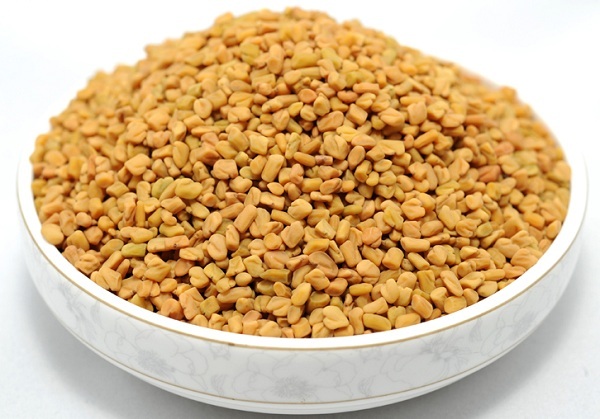 You need to procure fenugreek seed known as methi dana and henna leaves or henna powder if leaves are not available. Henna is beneficial for hair. Take henna (mehendi) powder around ½ cup and methi dana powder ½ cup. Mix them with water to get a smooth loose paste. You can always adjust the quantity of the hair pack or cleansers that we have told here as per your hair length and thickness. So, apply this henna methi dana hair pack on the scalp and hair. Allow this hair pack to get dry for 2 hours minimum then rinse off. Oil the hair at night and shampoo the other day if you wish. This induces the black hair growth in a natural way. In fact methi dana is also potential enough to lead to new hair growth when one is facing excessive hair fall and hair loss. This herbal methi dana rich hair oil is also ideal for giving the natural black hair and to control the early whitening of hair in males, females and even kids. This hair oil can be used at night. You will need one cup of coconut oil and ¼ cups of methi dana seeds. Put coconut oil in a saucepan along with the methi dana seeds. Then boil them until the seeds get darker in color. Let it cool down and strain. Put that in a clean bottle. Use this homemade hair oil for grey hair treatment to massage the hair at least 2 times in a day for best results. This amla curry leaves oil is also efficient in getting the black hair and to turn the already white hair into dark in color with regular usage. Take handful of curry leaves and ¼ cups of amla (Indian Gooseberry). Put these in a cup of coconut oil and boil for some time until the curry leaves turn black from green. Medium flame or low is ideal for boiling the oil. Once this cools down, you can strain it and fill in a bottle. Use it to give oil massaging for getting thicker, longer and naturally black hair. When such herbal oils are used regularly then they also prevents the early whiting of hair like seen in kids these days. Curry leaves are good for white hair. What we eat also plays a vital role in our skin and hair. When we face deficiency of some vital minerals and vitamins and that can be seen as hair fall, hair loss, dry brittle hair and also premature hair graying. To combat or to fully avoid the whitening of hair, you should make sure to eat citrus rich fruits like Indian gooseberry, yes you heard it right, amla is not just to utilize has a hair cleanser, hair pack or oil , but when you eat amla then this also helps in turning the hair black naturally. You can also have lemons and can eat coconut or drink coconut water. 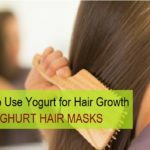 This is important to get good thicker and lustrous hair. Taking food items that are rich in Vitamin A, C, B complex, iodine and copper is crucial for keeping the hair in good state. Else deficiency of these can lead to white hair prematurely. Read our post on Foods for hair fall, hair regrowth and hair loss control. Avoid smoking and excessive drinking these two habits poses negative effects on out skin and hair. Tobacco too is a culprit for various hair related problems. Hence if you wish to get your black hair back naturally at home them follow the home remedies and diet tips equally to attain best possible results.